Usually modern blinds can be wiped down with a damp cloth and detergent solution, but do not use solvents such as white spirit, which could attack the protective finish. Traditional Holland blinds and paper blinds should only be dusted. 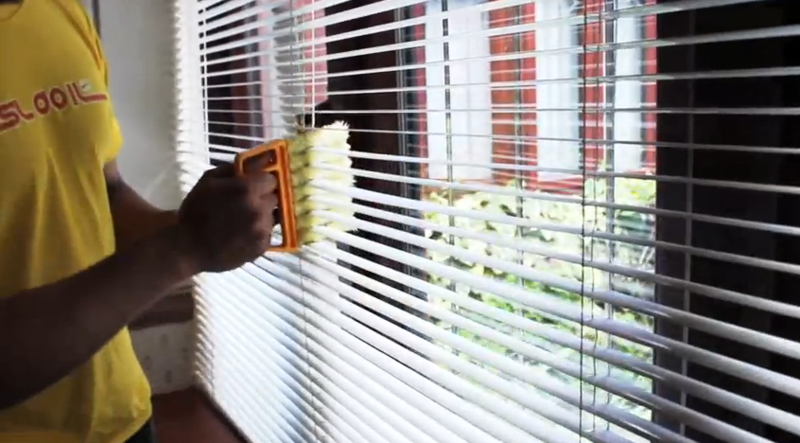 Split cane blinds can be brushed clean, or gently use the attachment of a vacuum cleaner. Some types can be lightly 120 sponged. Venetian blinds can be cleaned one slat at a time; wipe them with a soft cloth dampened in a detergent solution. Or you can put on an old pair of cotton gloves, and dampen the fingers to wipe slats clean. Or you can buy special gadgets that clean several slats at a time. Try to clean the blinds before they get very dirty: be very careful around the pull-cords, or you will soil them with your cleaning cloth. If you wish you can take down the whole blind and wash it in the bath, but do not immerse the top section in water as it may rust, and be very careful to avoid scratching the bath enamel. Dirt can destroy fabrics, so clean curtains regularly. Use linings to protect fabrics from sunlight. Large, interlined or very heavy curtains are best dry-cleaned, as are curtains with special headings. Some firms will come and take down your curtains for you, clean them, and then re-hang. If curtains are only barely long enough, dry-cleaning is safer than washing, but even then, shrinkage can occur. To wash curtains, first take out all the hooks, and put them in a safe place. Then unknot the heading cord at the top, and ease out the gathers so that the curtain can lie flat. Shake the curtains outside, or brush them down, to remove as much loose dirt as you can, then soak for about 10 minutes in cold water with a little liquid detergent. Rinse, and remove as much of the water as you can. Squeeze, or use a spin-drier if you think the fabric is strong enough to take it. 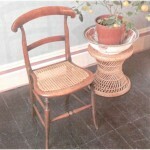 Now wash the curtain by hand in mild detergent and warm water, or by machine if you think the fabric is strong enough. Remember that fabrics can be weakened by dirt, polluted air and sunlight, and will be even weaker when wet. You can use the bath for larger curtains. Rinse well, then give them a short spin if you think the fabric is strong enough. Otherwise squeeze out as much water as you can, and hang to dry outside, supported over two lines. Glass-fibre curtains should always be hand washed to avoid cracking the fibres. Wash them in the bath, then hang them to drip-dry without folding. Net curtains should be washed as often as possible, separately from natural fibres. Soak them first in cold water with a little detergent, and then wash by hand in hand-hot water, or by machine on programme 4. Do not boil. Always be sure to rinse thoroughly, as scum can dull brightness. Do not wring and only spin for a short time. Drip-drying will cut down creasing, and you can hang nets at the window while still damp so that any creases can fall out, or use a warm iron. You can buy products at hardware stores specially formulated for whitening discoloured net curtains: follow the instructions carefully.